We’ve started making our own ethical yoga shorts. Designed to be the comfiest yoga apparel for practicing Iyengar yoga, we’re proud to present our range of yoga bloomers. 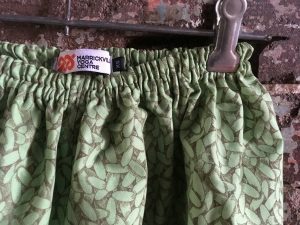 We also stock heavy cotton bloomers from Malaika Padma (pictured centre above). 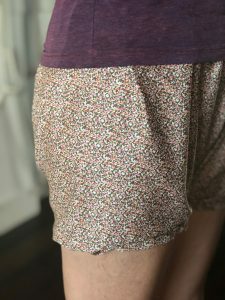 Wondering what exactly yoga bloomers are? Read on to find out! 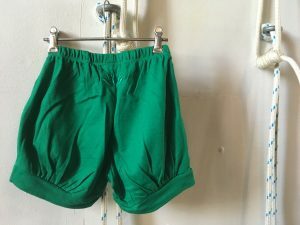 After the perfect shorts for yoga? 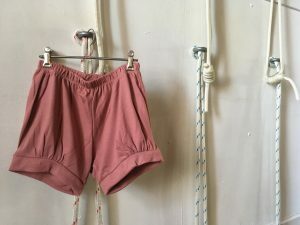 Bloomers are a distinctive Iyengar-style short that is popular with men and women at the Ramamani Iyengar Memorial Yoga Institute in India.You may have also seen them in action on some of teachers and students at The Centre. Bloomers are a practical, comfortable, and affordable option for yoga practice especially in the hotter months. 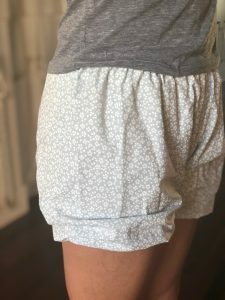 Why are bloomers so comfortable for yoga? Unlike tights or Lycra, bloomers do not restrict movement – the skin can move freely and the body can breathe. Such a lovely experience to feel a cool breeze tickle the backs of the knees in Sirsasana – helps you stay just that little bit longer! 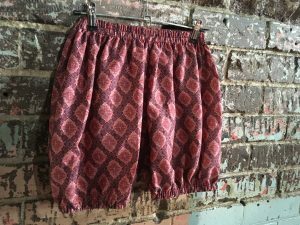 Bloomers are $60 a pair. We ship to anywhere in Australia with a postage and handling fee of $12. Get in touch with us to find out what designs we have available in your size.